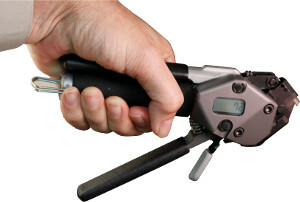 Glenair offers its connector and connector accessory customers every convenience in the provision of contact termination, shield termination, and backshell-to-connector assembly tooling. 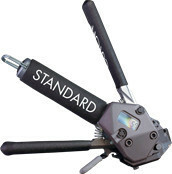 We are also proud to offer branded solutions from other well-known tool manufacturers such as Daniels (DMC) crimp tools. From pneumatic Earth-Bond tooling for the rail industry, to fiber optic termination and test equipment, Glenair is your most knowledgeable and reliable source for special-purpose interconnect assembly tooling. The Advanced Termination System for interconnect cable shielding. The quickest, easiest and most cost effective solution to installing and maintaining grounding connections on steel plate and sheet metal. 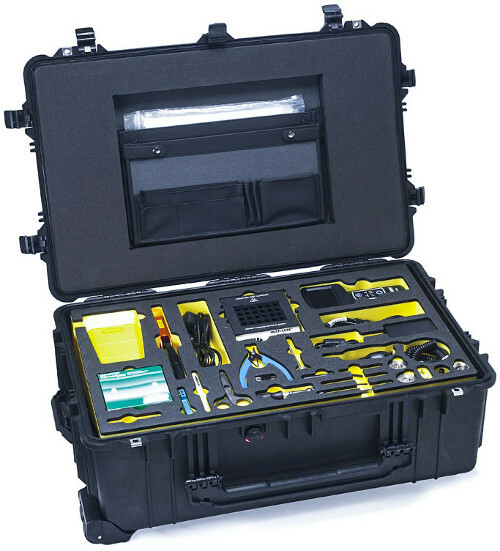 Glenair addresses interconnect system assembly needs with a variety of Military Standard and specialized connector tools, backshell assembly tools, braid termination tools and accessories.